Help! 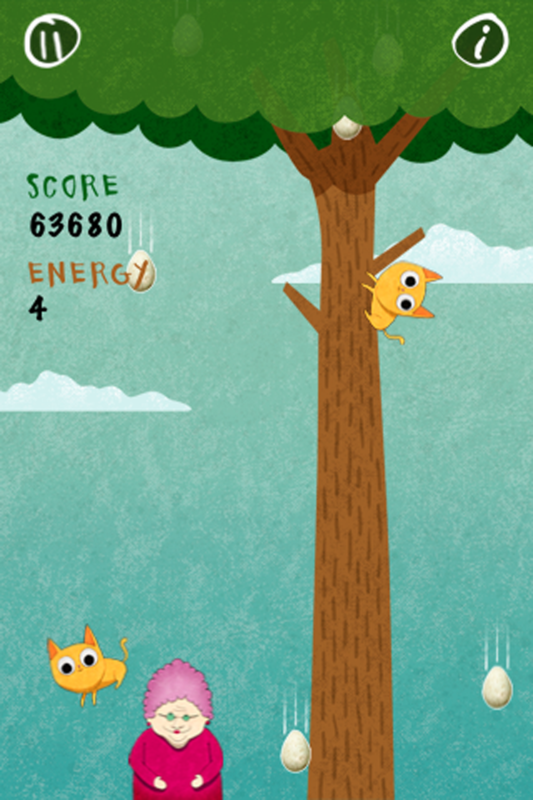 All of Granny's feline friends have gotten stuck up in a tree. 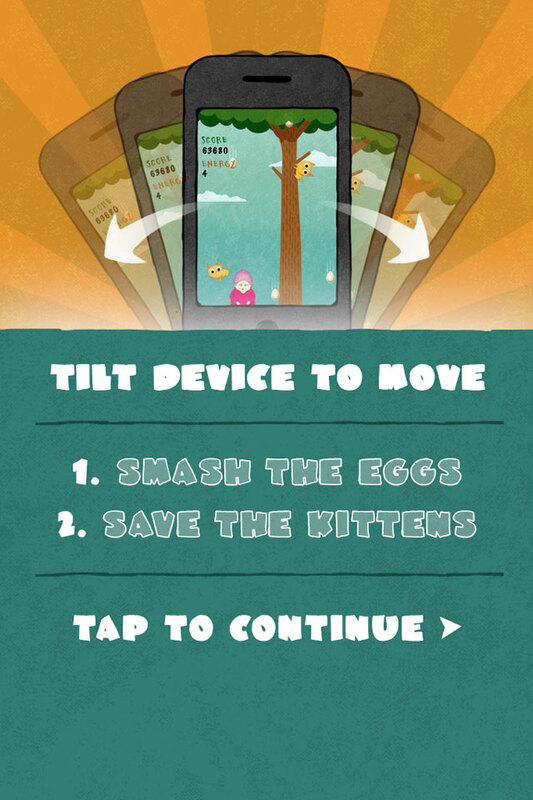 Catch the kittens as they leap back to Granny by tilting your device from side to side. Be careful though! The kittens have really shook up this tree full of crows and they are tipping eggs out of nests left and right. Avoid the eggs! Tap to smash them and keep them from hitting Granny. 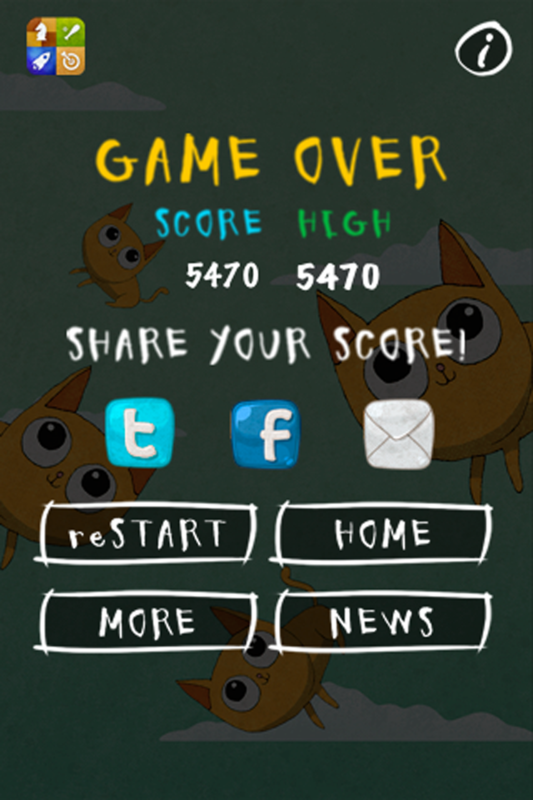 Increase your score for each kitten that you catch. Bonus lives are awarded for every 7,000 points! 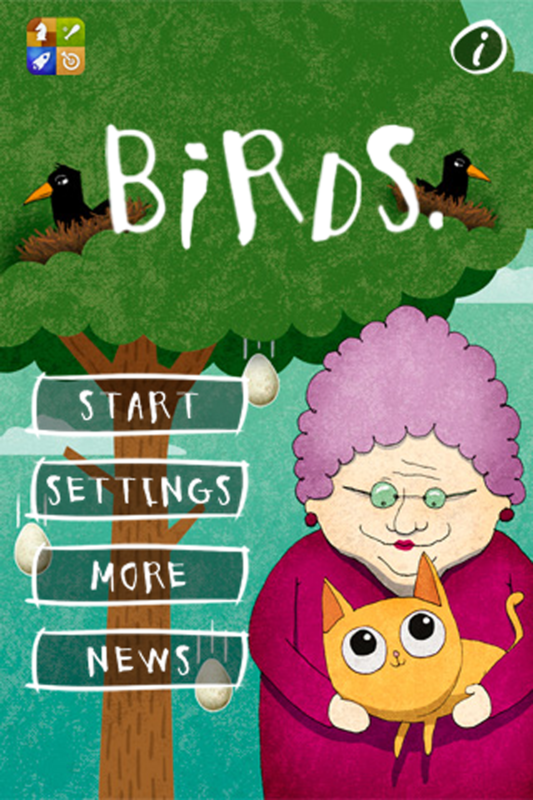 Challenge yourself and the rest of the world as you and Granny take on the crows and help bring your kittens back to safety. Birds is super easy to play, but super addicting and hard to put down! Thanks for playing! Please connect with us we would love to hear from you.